Europe has published some influential economic reports such as German Ifo Business Climate and the Flash PMI data from Germany and France along with the US releasing New Home Sales. 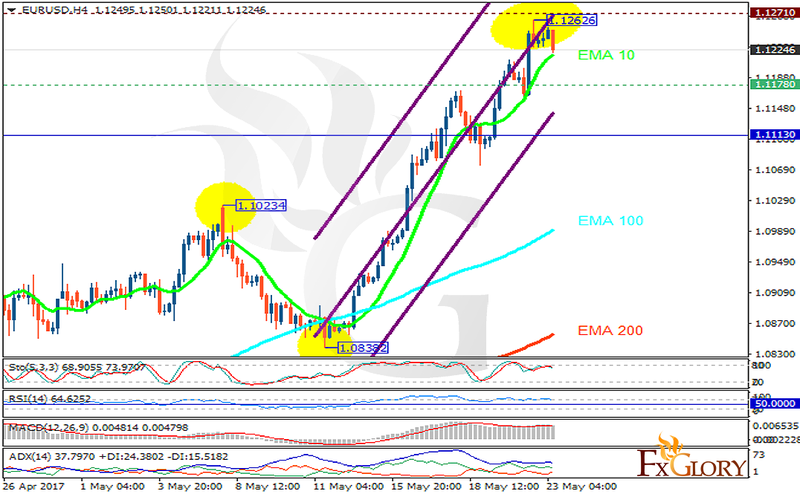 The support rests at 1.11780 with resistance at 1.12710 which both lines are above the weekly pivot point at 1.11130. The EMA of 10 is moving with bullish bias along the ascendant channel and it is above the EMA of 100 and the EMA of 200. The RSI is moving in overbought area, the Stochastic is moving in high ranges and the MACD indicator is in positive territory. The ADX is showing weak buy signals. Long positions are recommended targeting 1.13 area.